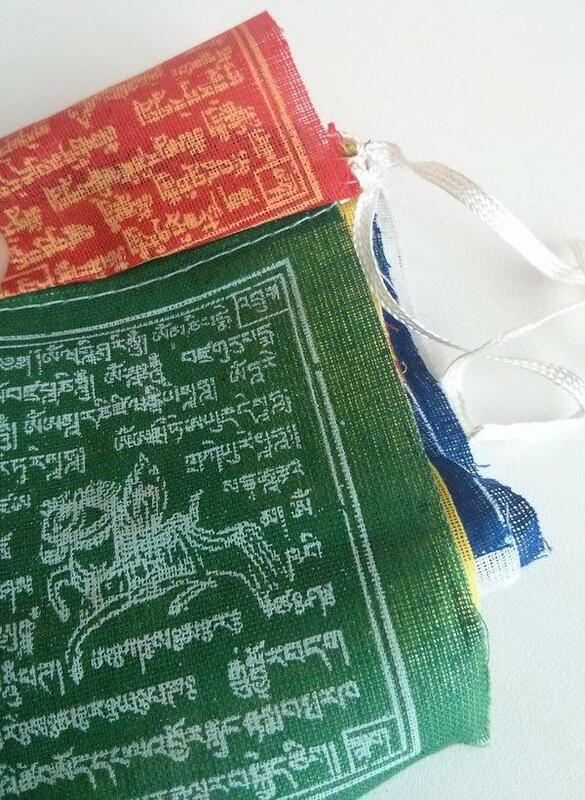 These bunting prayer flags have been exclusively created for Tibet Relief Fund combining the symbolism of the Bon (Tibet's pre-Buddhist religion) colours, the Tibetan Wind Horse and the bunting cut. Perfect for your car, balcony or garden. 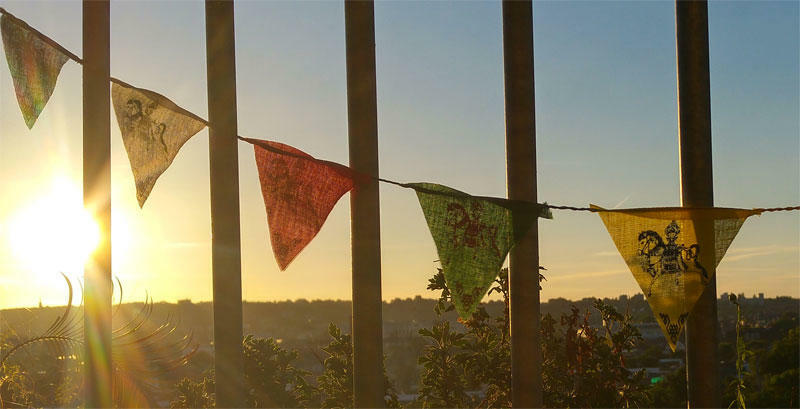 Medium: string of 10, each "flag" is approx 16cm equilateral triangle, total length: 200cm - £4 - buy 2 or more for just £3 each!